Russian President Vladimir Putin has formulated a plan to legalize the military’s use of foreign volunteers and ultra-nationals in overseas operations, a new step in the country’s increasing engagement in wars abroad. A decree published Monday although was not immediately ratified by the Parliament to legitimate foreign nationals to serve in Russian Armed Force for military expeditions what the law calls “counterterrorism and peacekeeping missions at anyplace where numbers of Russian service members are operating. In latest development we learned that state "Duma", finally grant foreigners a right to serve in Russian military. “The timing of the change is quite telling,” said Alexey Khlebnikov, an analyst with the Russian International Affairs Council. “Russia’s only military operation abroad is in Syria, and only contractors [volunteers as opposed to conscripts] are serving there. This amendment provides regulation for the foreign nationals who participate in Russia’s Syria campaign to work as part of Russian military complex in the contrast of being as mercenaries. Several reports have also emerged over the past three years of Russian security contractors in Syria oftentimes to protect private facilities like oil and gas infrastructure or engage in “deniable” operations where the government has tried to distance itself from the fighting. Foreign Legion! Putin Signs Decree Letting Foreign Citizens serving for Russia military to fight as modern Hybrid Warfare. The hybrid force in Russian military will avoid some situation like one incident in 2013, where irregular units from a shadowy group (mercenaries) technically based in Hong Kong known as the Slavonic Corps deployed to Syria. And later after failed to receive the promised reinforcement and losing a number of members in a series of skirmishes, the corps left Syria and was immediately the belligerents were arrested upon returning to Russia for violating laws against mercenary service. Another outfit, headed by Dmitry Utkin, a former Russian special forces officer known by his call sign “Wagner,” also the name of the group of, that played a more successful role in the combined Russian and Syrian drive to liberate the Syrian city of Palmyra from the Islamic State. By distancing the Russian public from battlefield casualties, the use of foreign volunteers in wars like the ones being fought in Syria and Ukraine might also allow Russia to maintain a longer-term presence in those conflicts. “If you look at forces in Ukraine and Syria, it’s professional soldiers who volunteered for service doing the fighting from various nations, said Jeffrey Mankoff, a senior fellow at the Center for Strategic and International Studies. “It makes the issue of public support for these operations less salient. If you’re not conscripting people into a war to be killed, there’s less of a public foundation for opposition.” he added. The incorporation of foreigners into the military like (Combat Brotherhood 2017) sound more usefully and while expands the number of available recruits. “It gives them a potentially larger deployable force for expeditionary operations that might not have public support if they had to force Russian citizens to fight in them,” Mankoff told FP. During the Cold War, the Socialist Republic of Soviet Union (U.S.S.R) was made up extensively by non-Russian soldiers who fought for its global expansion and campaigns and in foreign nations. The 10-year Soviet-Afghan war is a good example, where the Soviet Union deployed separate units of Central Asian fighters in some of the deadliest fighting in history. Military planners believed that those soldiers, coming from areas with similar dialects to those spoken in Afghanistan, could be used effectively for covert operations. Members of one of these so-called “Muslim battalions” composed primarily of ethnic Uzbek, Tajik, and Turkmen recruits who ideologically were part of the Soviet special operations unit that stormed the Tajbeg Palace in Kabul in 1979, killing President Hafizullah Amin. The assassination and toppling of Amin’s government marked the start of increased Soviet military involvement in Afghanistan. More recently, in 2014 State Duma Deputy Roman Khudyakov proposed a Russian “foreign legion” based in Central Asia primarily designed to combat the threat of the Islamic State. The plan, in which local units would be commanded by Russian officers, however, the information was never disclosed. The hybrid warfare so-called "soft power" concept has become conversational short of a term in the West for describing Moscow’s sneaky ways of fighting war. If there’s one thing you’ve learned over the past two years about Russia, it’s that it uses hybrid warfare, a dangerous Kremlin innovation, the tactic that appear so simple,subtle but dangerous. In two short years, the word has been added to military syllabus describing how Moscow fought its war in Georgia,Crimea, Ukraine and Syria incorporating all the various elements of Russian influence through non-linear military tactics to win the conflicts. 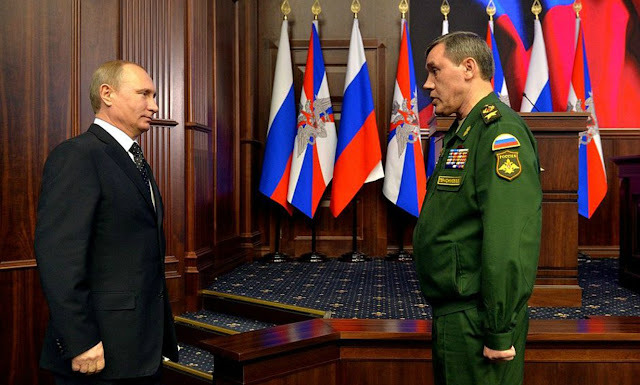 Russian military theorists intend to counter "hybrid wars" with similar methods and are ready to develop a concept of "soft power", the Kommersant newspaper writes on Tuesday referring to the report of the chief of the General Staff of the RF Armed Forces Valery Gerasimov. It is reported that last weekend a meeting of the Academy of Military Sciences was held, where the opposition of "western sponsored color revolutions" was discussed. According to the newspaper, a report on this topic was made by Valery Gerasimov. The Chief of the General Staff of the Russian Armed Forces spoke about the peculiarities of modern wars, which are of a hybrid nature, noting that their integral parts are "color revolutions", cyber attacks, preparatory measures organized in the "soft power" format. "Since the" color revolutions ", which in the Ministry of Defense definition consider it as civil coups, conducted through hybrid wars, which are impossible to respond to them with the use of conventional troops: yet they need to be countered only by the same hybrid methods. The description of color revolution is a collective name for the processes of regime change, such as the Rose Revolution in Georgia, the tulip in Kyrgyzstan, the orange in Ukraine, the jasmine in Tunisia and the lotus in Egypt. Usually, begin as peaceful rallies carry out by college or university students, in fact there is hidden agenda behind "color revolutions", as a rule, always result in tough confrontations with state security forces, leaving the legal framework paralyzed and political subversion and eventually international condemnation. Hybrid warfare is distinctively separated from other classical bins of conventional or irregular war. To make you understand i prefer to use Frank Hoffman’s definition, which says “a tailored mix of conventional weapons, attrition tactics, and criminal behavior at the same time to maintain battlespace and obtain political objectives.” There are other definitions out there, but you will never find a correct analysis about Hybrid Warfare. There is no tangible clear description of what is the parameters of hybrid force let alone how it even works, since every battlefield has its own independent template for hybrid warfare application which is varies from traditional understanding. Today the term hybrid warfare continues to evolve, spawning iterations like “multi-vector hybrid warfare. Hybrid warfare has become the Frankenstein of the field of Russia military stratagem. The western allies too mostly US are incorporating sort of hybrid warfare principles in pioneering indirect approaches to propagate the notion of regime change, leveraging political subversion among citizens of rogue states, along with economic measures such as sanctions. From his perspective we should understand that the funding for democracy movements around the globe and forming UNSAID corps, and the sponsoring of local NGOs are all features of a U.S. doctrine of indirect asymmetric wars against their enemies. End Note: As per the wisdom of Marxist-Leninism: Joseph Stalin stated that " Since the victory of World War II, U.S. imperialism and its running dogs in various countries have taken up the place of fascist Nazi-Germany and are frantically preparing a new world war (New World Order) by menacing the whole world; this reflects the utter decay of the today's capitalistic world and its fear of imminent doom. This enemy still has strength; therefore, all the revolutionary forces of each country must unit to form an anti-imperialist united front headed by the true proSoviets and follow strictly its policies; otherwise, victory will be impossible. This enemy has a weak and fragile foundation, that we can disintegrating external because he is already fragile internally"
So, Russian Legion that allow foreigners to fight along the Russians and other combined international contingents, will pave a way forward for the genuine revolutionaries of the world to unite and fight in common cause against global imperialists. 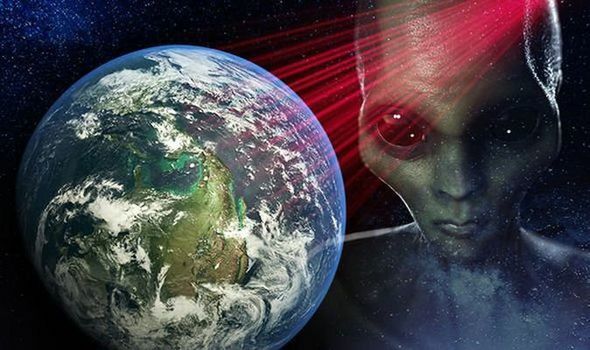 The New World Order must be fought psychologically and military in exact same manner it being propagated. As per the Socialist Doctrine it says gain (1) we must fight to free the oppressed peoples, colonies and semi-colonies from imperialism, of course we have liberated the colonies and abolished slavery and Apartheid, but yet the battle is far from the victory; (2) We must erect a bridge between the socialists in the West and the communists in the East to create a new front of revolutions against world imperialism. If you hesitate to fight them now they will come for you one day, remember imperialists have no friends who is permanent. Today they treat you as ally and tomorrow you are enemy.